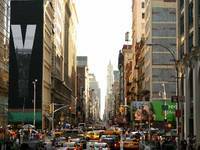 Hotels in New York charge more and give less than their counterparts in other U.S. cities. So look instead to private apartments, which go for far less and offer much more. In New York, a whole world of alternative lodgings is based upon what one critic called "the dirty little secret of American life, that no one has enough money." More supposedly well-off New Yorkers than you'd ever imagine are supplementing their incomes and balancing their budgets by inviting visitors into their well-appointed apartments, converting their homes into mini-hotels. There are also those New Yorkers who simply rent out a room within their apartments, often with a private bathroom attached. Though the privacy for the visitor isn't as complete, the prices are even lower. And in that kind of "hosted" situation, visitors get a rare glimpse of actual life in Manhattan. They set up house in a real neighborhood, get to know the deli guy, the locals-only restaurant, and the bar around the corner. Hosted apartments: Apartments that the guest shares with a New Yorker who lives on premises. Usually the host rents just one room and sleeps in another bedroom. Only a 3-night minimum stay is required for a hosted arrangement. There are pluses and minuses to each type of lodging. At unhosted apartments, guests have total privacy. You can come and go at will without worrying about disturbing anyone, buy your own food, cook meals, and live essentially as you would in your own home. The downside can be the lack of any kind of guidance: If you need advice, there's no one on premises that you can turn to, and you're also alone if the toilet won't flush or the key jams in the lock (the rental agency or owner will fix the problem, but it will probably take a bit of time). Also, these types of rentals are usually a good 25% to 50% more expensive than hosted rentals. At hosted rentals, you may feel constrained by the presence of the host and in some, but not all cases, may have to share a bathroom. That's usually the worst it gets. In the best-case scenarios, your host will act as an affable advisor, helping to pave your way in the big city, and perhaps forming a friendship that lasts beyond the visit. In fact, one unsung perk of doing a hosted rental is that you meet unusually gracious, resourceful, quirky New Yorkers. "Most hosts are off the corporate grid," explains Margaret Borden of City Sonnet. "We get a lot of artists, actors, musicians, chefs, and other creative types because these sorts of people have the time to do a second job and often need the extra income. Most are extremely well traveled and all really enjoy meeting travelers." In hosted situations, breakfast is usually included in the cost of the stay and, as I said before, guests typically pay less for this type of lodging. Two very nice standard perks offered in both hosted and unhosted rentals are free local calls and Internet access. As with hotels, 99% of all apartments provide cable TV in the bedrooms. Back in the good old days, you could find airfares for flights leaving the country for less than $200. Everyone paid by check or cash at the travel agency or airport ticket counter. You never saw a credit card, although some executives would occasionally flash their corporate American Express credit cards. That's all changed. Today's travelers gobble up frequent-use bonuses or air-mile perks like candy. But, you'll have to travel smart lest your margin for savings fly away quicker than a jumbo jet. The solitude of small Australian islands - one step from heaven! Did you ever wish you could just escape to an island for a while? Have you ever craved the peace and serenity of being castaway on a desert island in the middle of the vast Pacific Ocean ? 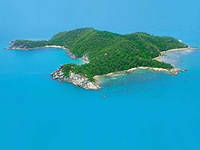 Well, if these situations sound like paradise for you and you are heading to the Tropical North Queensland region of Australia, then you really should give some thought to looking into some of the more isolated accommodations positioned on the islands just off the Great Barrier Reef. 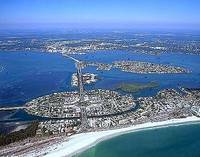 The 'Sunshine State', Florida has endless attractions with innumerable beaches, theme parks, state parks, museums and aquarium. A good transport and communication system connects the areas across the state; therefore, it is not difficult to go from one place to another. 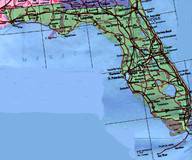 Florida experiences warm and moderate climate throughout the year, since no part of the state is too far from the coastline. 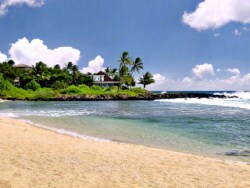 Hawaii vacation rentals are a favorite way to enjoy the islands without being amongst a throng of tourists typical of hotels and resorts. Hawaii's rentals are diverse and all you need to do is go online and punch it into a search engine, and you'll be flooded with rentals and package discounts and deals. These are complete with information about what they have to offer and phone numbers if you would like to make a reservation. 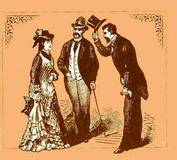 Foreign etiquette tips - be prepared! IF you kiss in public, forget to flush the toilet or wear a mask you may be surprised to find yourself in hot water in some countries. Here are 15 lesser-known acts that may breach the etiquette rules of some of the most popular tourist destinations around the world. Propriety is important in any city, and St Louis in no exception. But girls, don't get caught out without proper clothes on in a fire - it is actually illegal for firemen to rescue women who are still in their nightdresses or other various underwear attire. Interestingly, it's also illegal to sit on the curb of any city street and drink beer from a bucket - so no drunken tourist antics here, please. Vacation rentals in Florida - come see Disneyland! You have decided to bring your family to Disneyland in Orlando for a family holiday vacation. You do know that getting a comfortable hotel room for a family of 4 or more is usually a hassle because there is only one television set and your children will fight over which program to watch. What is more, with only one bathroom, cleaning up and dressed is like waiting in a long queue for a thrill ride in, well, Disneyland. Your family will feel cramped, stifled and tempers can flare up easily unless you book two hotel rooms and that may be expensive in Orlando especially in hotels nearer Disney World. Is this really a holiday vacation hotel room or a prison cell? Is there any better way to enjoy your Disney holiday? The administrator of the $20-billion fund to compensate victims of the BP oil disaster in the Gulf of Mexico says owners of rental properties along the Gulf Coast should apply for lost vacation rental revenue. Kenneth Feinberg, appointed by President Barack Obama as the pay czar after performing the same job for family victims in the 9/11 attack in New York City, says owners of vacation rental properties losing income as a result of the disaster could be compensated — although he acknowledged that determining whether to pay those that didn't suffer direct damage is among the most difficult issues he faces.